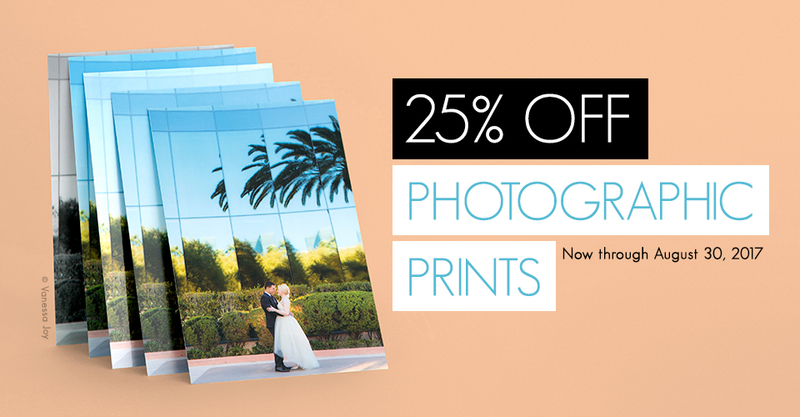 Now through August 30th, enjoy 25% off all Photographic Print sizes in ROES and Remote Suite PLUS Print Products. Upload your latest session, choose your paper type (E-Surface, Metallic, Silk, True Black & White or Fuji Deep Matte) and bring your images to life. Please note: This sale only applies to Photographic Prints ordered through ROES and Remote Suite PLUS Print Products. Prints ordered via Proofing, Sports & Events, and Schools will not be discounted. Not valid for finishing services, Dream Prints, Boxed Prints or Wall Art. The sale price will not be reflected in order summaries and email confirmations. The discount will only appear after the order is transmitted and received by the lab. Orders placed prior to the sale will not be discounted. Offer expires August 30, 2017, at 11:59 p.m. (Central). Do I need a coupon code for this sale? Hi David, the sale is auto applied!